Start by adding the banana, milk and oats to a blender and whizz together until smooth. Pour out half the mix into a bowl and then add the raspberries and beetroot to the rest of the mix and blend again until smooth. Pour over the banana smoothie and swirl together until rippled! Top with fruit and seeds. 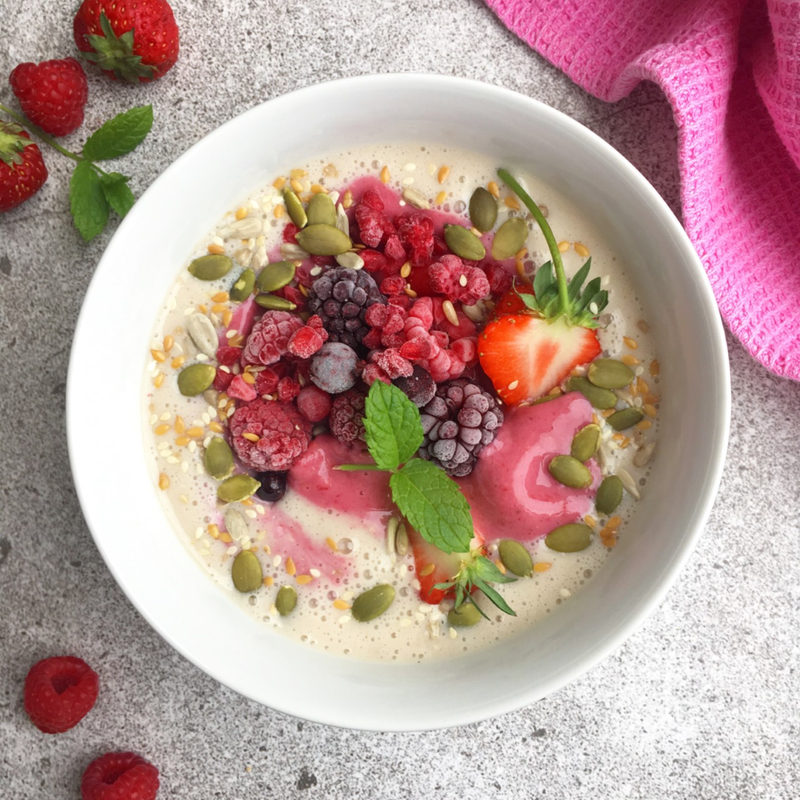 A sweet pink smoothie bowl loaded with apple, blackcurrants and oats - perfect for anytime of the day.